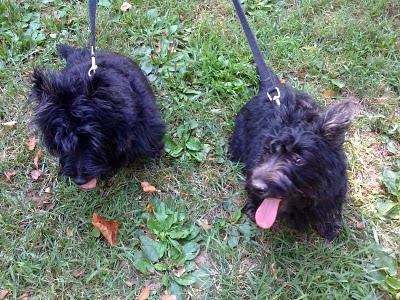 Here are some pictures of Emma and Maggie. 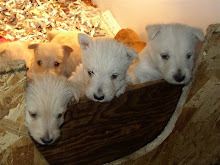 They are wonderful puppies both physically and in temperment. They are about 4.5 months old. Emma is 14.1 pounds and Maggie is 12.5 pounds. They just had their last shots and the vet says they are very healthy. I would like to thank you and Duane for breeding such wonderful puppies. 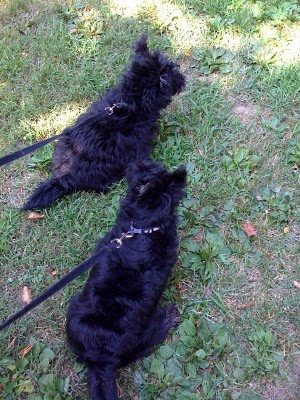 I would recommend to anyone who are intrested in Scottish Terriers to check out your website. Once again thank you for everything and expect more pictures for many years to come.